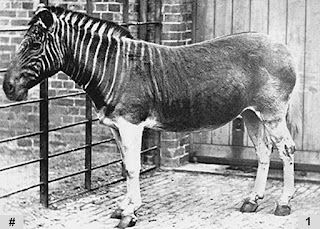 The quagga is a now-extinct subspecies of African zebra, half-covered in stripes, that barked like a dog. In 1886, South Africa issued a ban on hunting quaggas in the region - three years after the animal had already gone extinct. Out of a total of 35 eggs sent into space, six chicks were successfully hatched aboard the station. 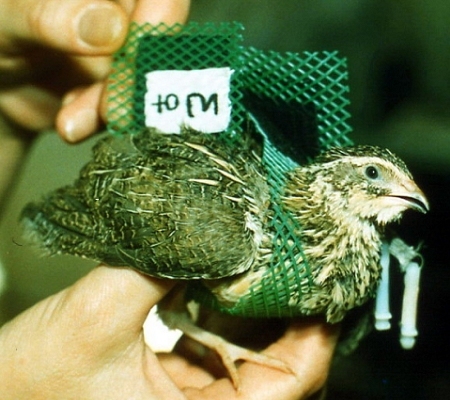 You can see some adorable footage of the quail chicks in space here. Here's a QI question for you: "What's black, white and Asian, and still somehow a little bit racist?" 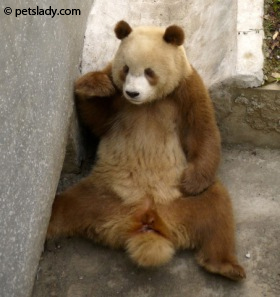 The Qinling panda is a subspecies of panda that can have brown fur instead of black-and-white fur. They also have slightly smaller skulls and slightly larger teeth. A fighter has a big bout coming up. He can either win the fight, and live a life of fame and fortune, or lose the fight and win the heart of the woman he loves. 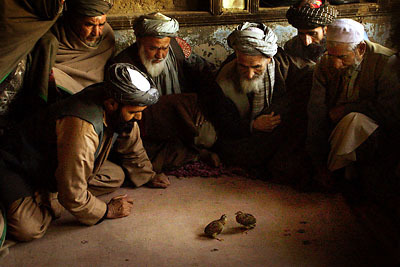 Yep, it's quails again! 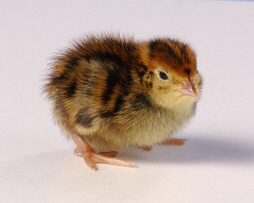 Over the course of history, quails have been used to make a lot of money as champion fighting birds, but oddly, the males are more attractive to female quails if they lose a fight. 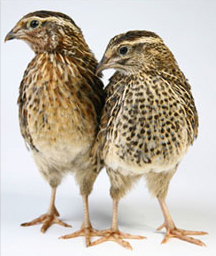 Successful fighting quails were highly valued and sought after. In Ancient Rome, the emperor Augustus once sentenced a servant to death for buying a champion fighting quail, cooking it and eating it. When Augustus found out about this, he ordered the servant be nailed to a ship's mast as punishment. And according to an 1869 book, a prize fighting quail in Canton (now Guangzhou) could sell for "several hundred taels". Using this chart, 1 tael in 1869 was worth about £2.23 in today's money - meaning a prize fighting quail costing several hundred taels could easily be worth upwards of £1000 in 1800s China. Quolls. 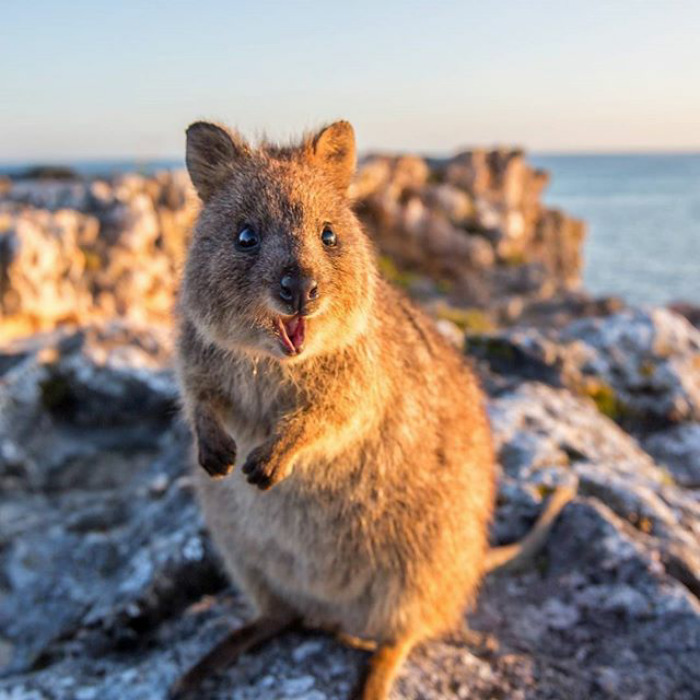 (marsupial native to Oz). I stumbled across them here. Quolls (/ˈkwɒl/; genus Dasyurus) are carnivorous marsupials native to mainland Australia, New Guinea, and Tasmania. They are primarily nocturnal and spend most of the day in a den. Of the six species of quoll, four are found in Australia and two in New Guinea. Another two species are known from fossil remains in Pliocene and Pleistocene deposits in Queensland. 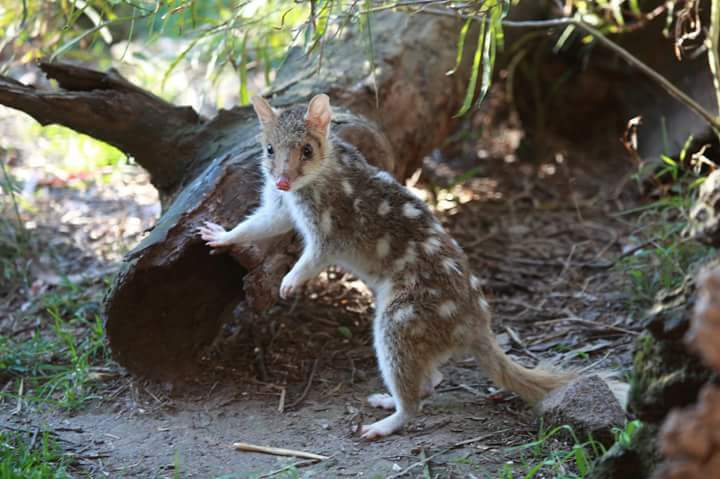 Genetic evidence indicates that quolls evolved around 15 million years ago in the Miocene, and that the ancestors of the six species had all diverged by around four million years ago. The six species vary in weight and size, from 300 g (11 oz) to 7 kg (15 lb). They have brown or black fur and pink noses. They are largely solitary, but come together for a few social interactions such as mating which occurs during the winter season. A female gives birth to up to 18 pups, of which only six survive. The longest-living fish to survive in captivity was a Queensland lungfish named Granddad, which lived at the Shedd Aquarium in Chicago from 1933 until his death in 2017, aged at least in his 90s. As their name suggests, Queensland lungfish are one of only six species of fish on Earth that can breathe air as well as water, and can live for several days out of water without dying (as long as they're kept wet). They have a full set of gills as well as one working lung, which they use by breathing in through their mouth every 30-60 minutes. Granddad was originally brought to Chicago in time for the 1933 World's Fair, embarking on a three-week sail-and-rail journey from Australia and arriving with 24 hours to spare before the fair began. At the time, he was already a fully-grown adult thought to be around 8-10 years old. Granddad's normal diet was mainly leaves and worms, but on his 80th birthday, he was given a special birthday cake made of layers of "smelt, shrimp, yellow squash, carrots, potatoes, and green peas, decorated with seaweed, esca-role and silversides". During his time at the aquarium, Granddad was visited by over 104 million people and even served as a witness to a wedding. The person officiating the wedding opened his address with "Ladies and gentlemen and fish". Q: How do you prove that there is no such thing as a fish? This is the story of another Queensland fish of note, Ompax spatuloides, notable because it was the result of a prank played on a scientist when he visited Queensland. But it took the best part of 50 years for people to conclude that the fish didn't exist. When chemist Karl Staiger went into a Queensland jail in 1872, he was served what he was told was a local fish, rarely-caught, and not found anywhere else in the world. Excitingly, Staiger sketched it and sent the sketches to a biologist friend, who went on to publish it in a paper in 1879. The fish went on to be recorded in fish journals all over the world, and between the 1880s and the 1920s people wrote about it, albeit with increasing skepticism as no one had ever been able to catch one in the decades since Staiger's original encounter. Eventually in August 1930, an exposé from a pseudonymous author was published in Sydney magazine The Bulletin, saying that Staiger had been "made the victim of one of the quaintest jokes in scientific history". What he had been served, they said, was actually the combination of the head of a lungfish (although sketches suggest a platypus), the body of a mullet, and the tail from an eel. This article led to the publication of a 1933 paper describing Ompax as "a mythical fish" for the first time. 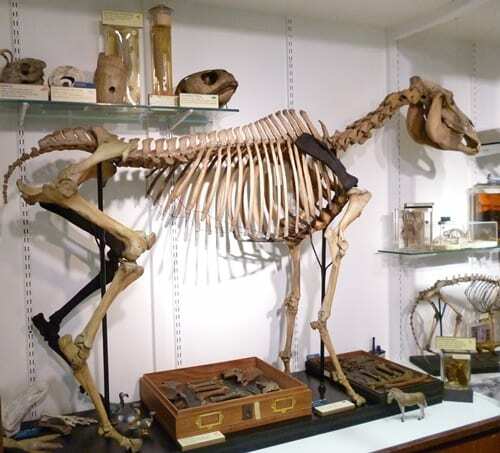 Part of the reason it took so long to dismiss the hoax was because the 19th century had seen the discovery and study of lots of bizarre animals from Australia, many of whom defied all scientific knowledge when they were discovered. Famously, the duck-billed platypus was thought to be a hoax when a stuffed one first arrived in London, while the discoveries of an egg-laying rodent (echidna) and a fish that could breathe air (Queensland lungfish) meant that the biologist community couldn't be 100% sure that the bizarre chimera-esque Ompax was a fake for a very long time. Fake news is nothing new,,is it? The Quagga catshark is a bottom-dwelling fish found in the Indian Ocean, named because its striped pattern bears a resemblance to the quaggas described above. Only nine specimens have ever been recorded - one male sometime before 1899, four males in 1964 and two males and two females in 2010. This makes it 121 years between the first recording of the male and the first recording of the female of the species, which must be some kind of record. This also means that there are over twice as many quagga specimens left in the world (an animal that went extinct in 1883) as the number of quagga catsharks ever seen. - The balloon shark, inflates its stomach with air or water as a defence mechanism. - Who lives in a pineapple under the sea? Spongehead Catshark! 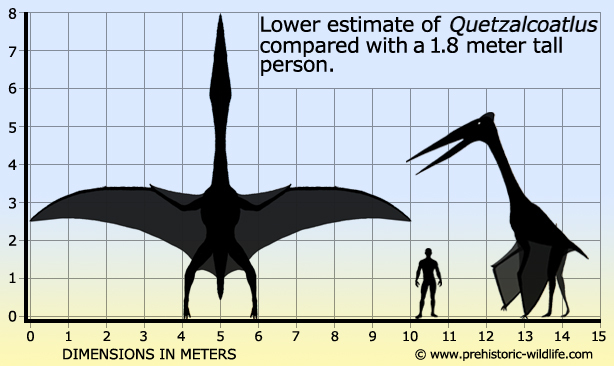 I got on a whole tangent looking up different sharks so I made a post in the QI Animals forum to share what I found there. Not an animal but I didn't feel like starting a whole new thread to share one fact. In a study by Visme of 290,000 dog names across America, 75 dogs were found with names that were 1 letter long. The most common one-letter dog name? Q.